Installation of the VGP RGB mod board. 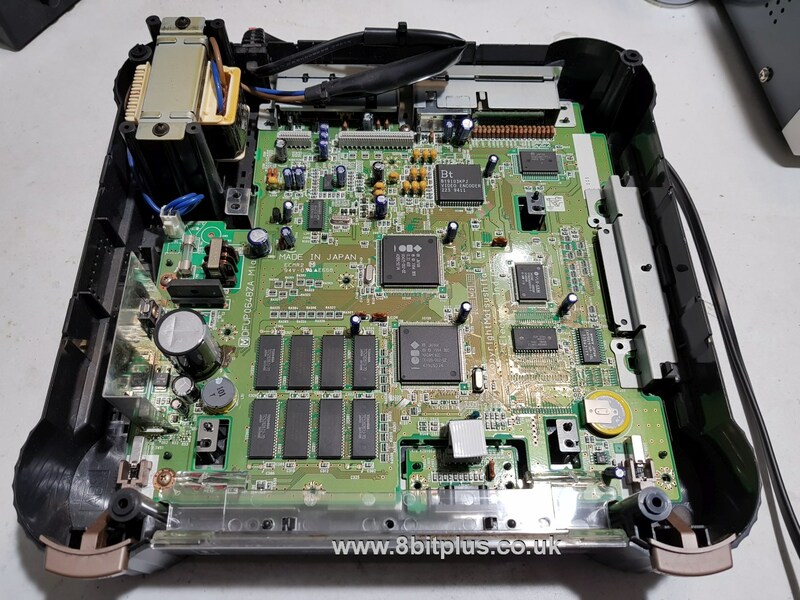 Getting an improved RGB picture out of the 3DO. 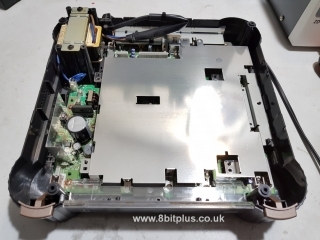 Progressive scan 240p mod switch installation. This was a request from a customer who wanted to get better image out of his Panasonic FZ-1 3DO. 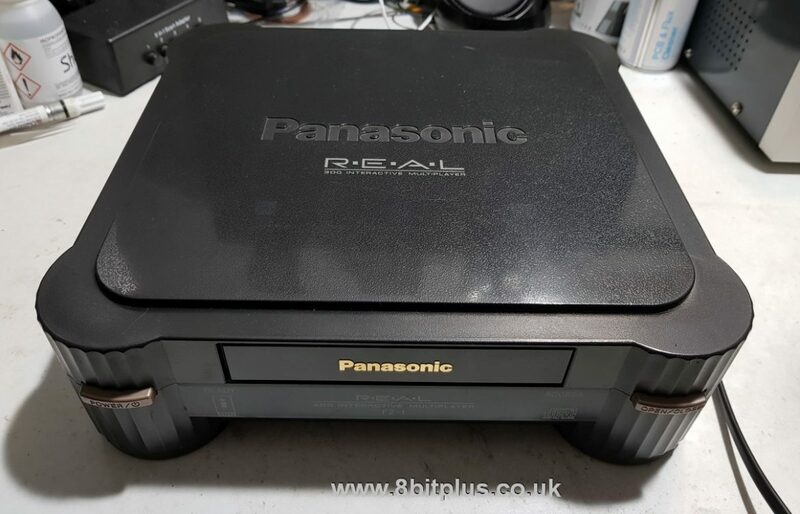 To that point I have had little experience with the 3DO, I own several and a nice stack of games but its not a console I use often. I’ve also not had many people requesting mods either. 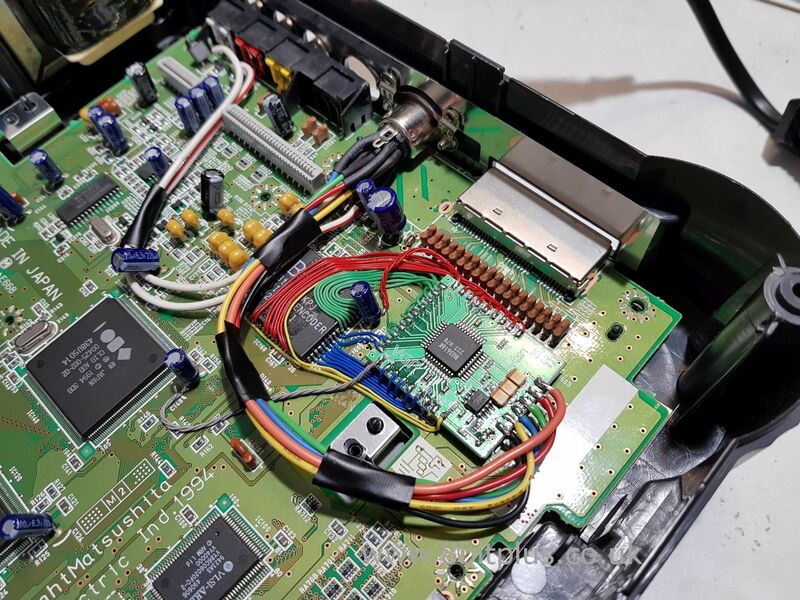 After some research I discovered that an RGB mod is possible with a fairly new board from VideoGamePerfection. 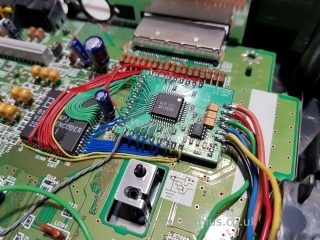 The FZ-1 already has Composite, S-Video and RF but RGB is the superior choice for retro gaming setups and fancy HD upscale kits nowadays. 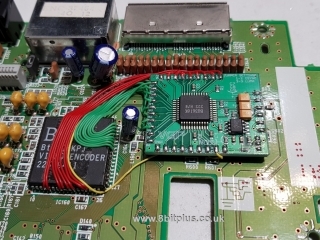 The mod board basically replaces the video encoder and outputs RGB separated video signal. 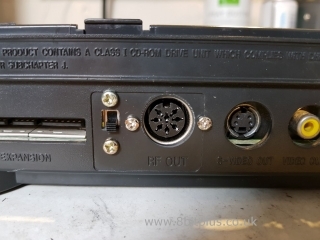 I’ll also have to install a video socket for this to work. Perhaps removing the RF modulator to make room for the new port. The other request from this customer is to add a 480i/240p video switch, but I’ll look at that after the RGB mod. The 3DO looks a bit daunting when sat on a desk, giving the impression of very solid construction and a tank like build. Actually its very ease to dismantle. I started by removing the top of the case. 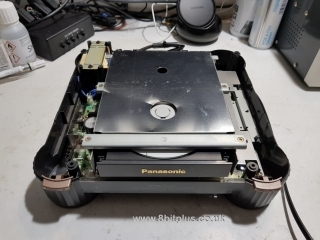 Then I removed the CD-Rom drive. The FZ-1 is well put together. 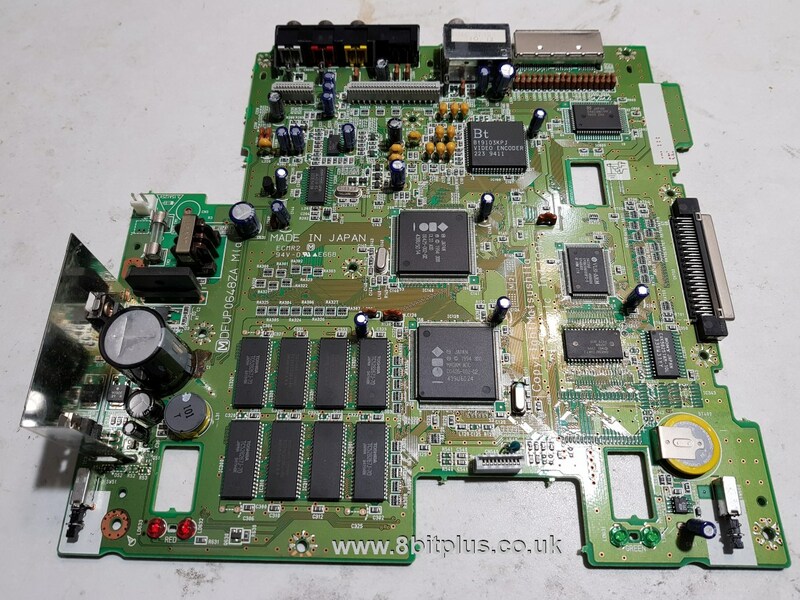 With the CD-Rom out of the way I next removed the RF shield and exposed the motherboard. There are also a few smaller parts to remove too. 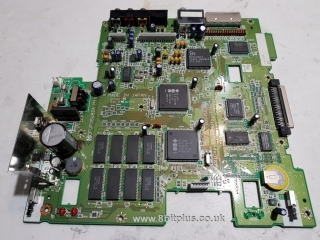 Now we have the 3DO motherboard fully removed and ready to work with. Removing the board from the case isn’t necessary as we only need access one side, but I might remove the RF modulator. Also having the board free saves space on the desk. The RGB board is comparable with a few different brand and revisions of 3DO, so placement can depend on the revision. 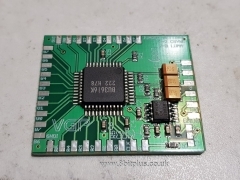 I want to get the board close to the video encoder chip to reduce wire length. I decided to place the board over to the right of the encoder. 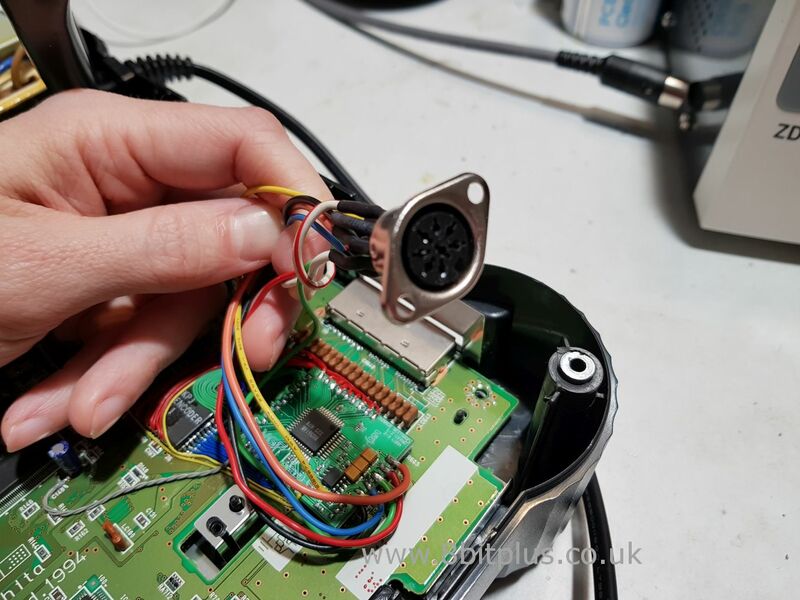 Following the instructions provided online I linked up the wires for the 24-bit video signals, clock signals, sync and power. 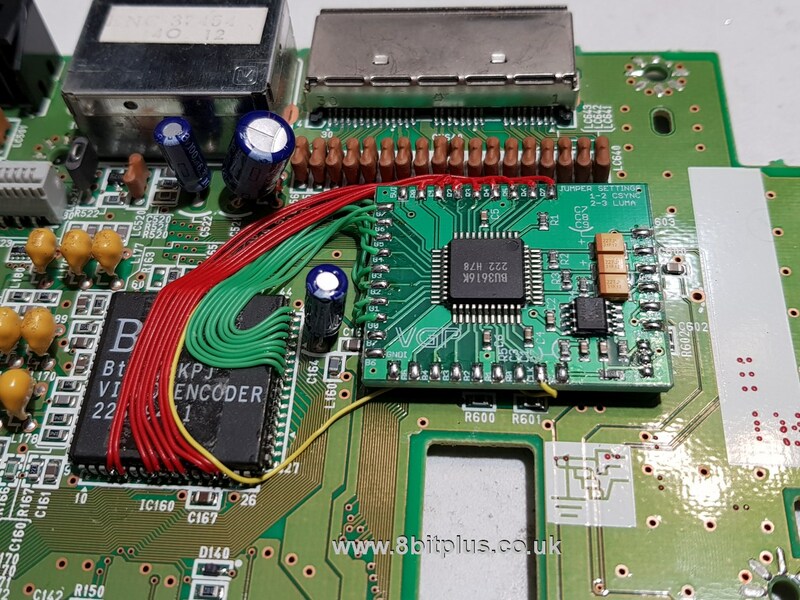 Now the board is fully connected to the video decoder, I connected the output side of the board to a socket. For this mod I used a standard 8-pin DIN socket for the video connection. 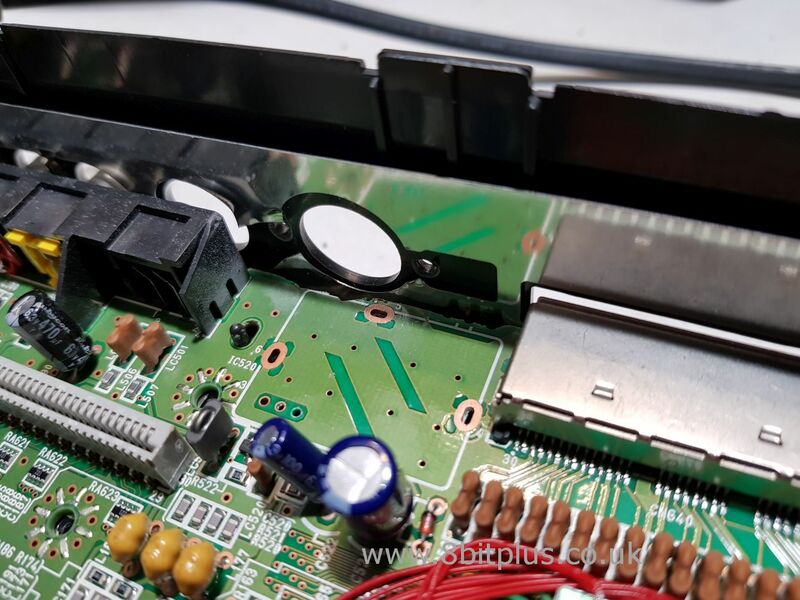 To make room for the socket I removed the original RF modulator. This is also the ideal point to install the 240p switch mod. 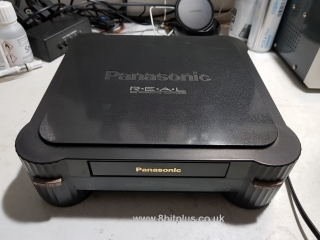 The 3DO by default only outputs 480i video. Although this is higher resolution than most consoles of its era, it comes at the cost of being interlaced. Depending on the situation you can see a flickering motion to the video. 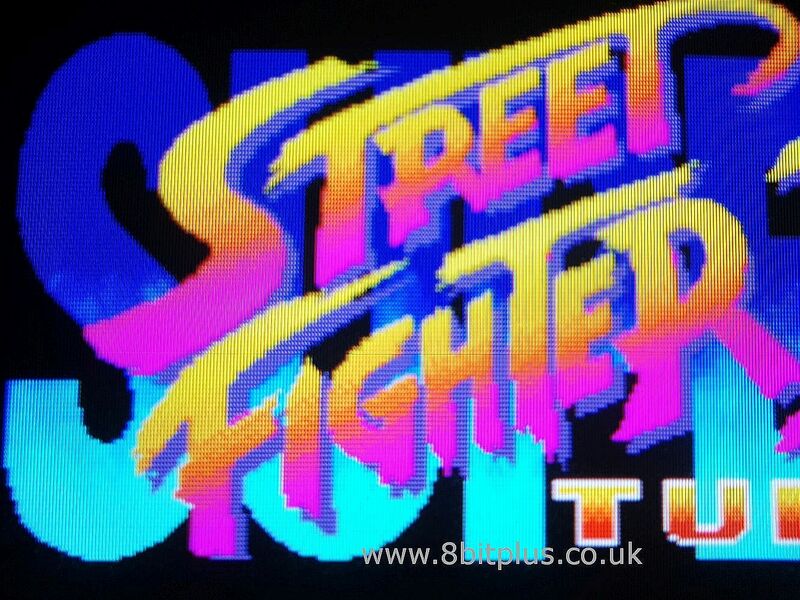 Even on a CRT its noticeable. 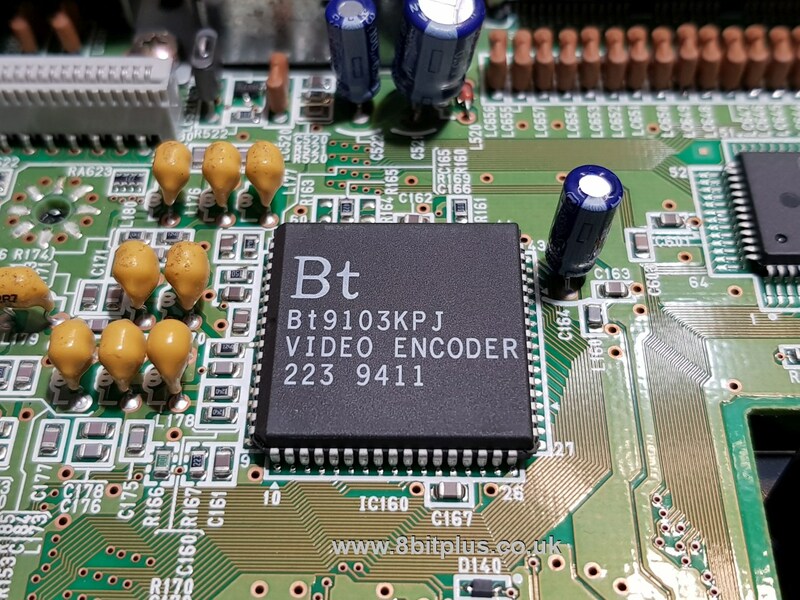 The solution is to activate the video decoders 240p mode. This makes the video much smoother and can reveal finer detail that the interlacing distorts. 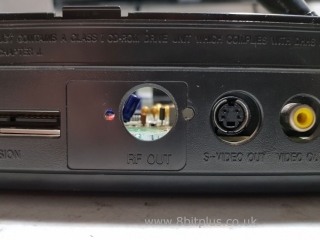 I installed the switch to activate this mode next to the video port. The difference between Composite and RGB is huge as to be expected. Edges are more defined and RGB fully eliminates the pixel crawl. 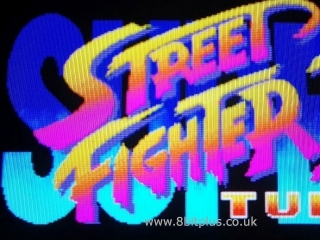 I’d just liketo point out that I’m trying to photograph the image directly from my CRT TV. I don’t have any RGB capture devices yet that would make this job far more effective. 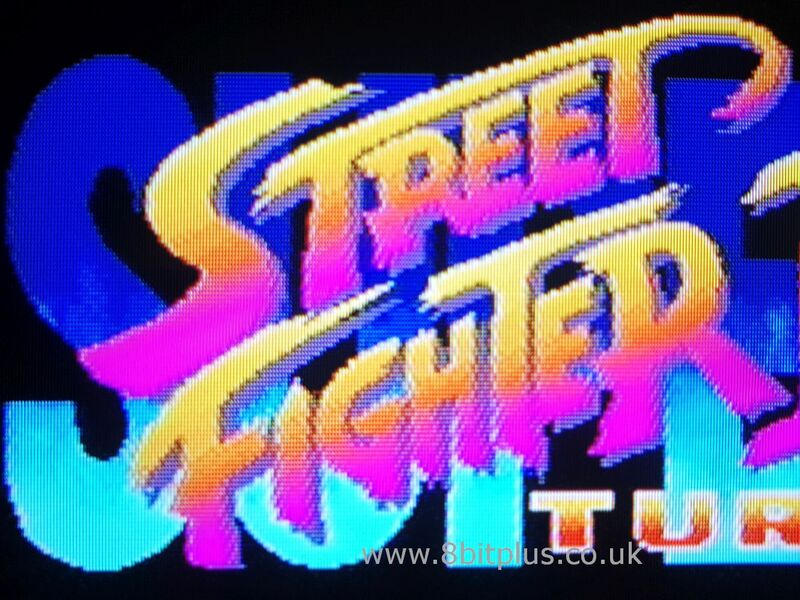 Street Fighter 2 was used to make some screenshots. 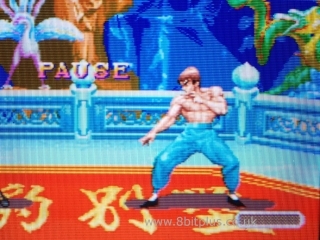 240p was enabled for the RGB shots, but the difference was hard to capture on camera. I’d say that 240p was the best option in almost all games I tested. I found that the console would shift the image over to the left if it booted in 240p, so I’d recommend starting up in 480i, then switching to 240p in game. 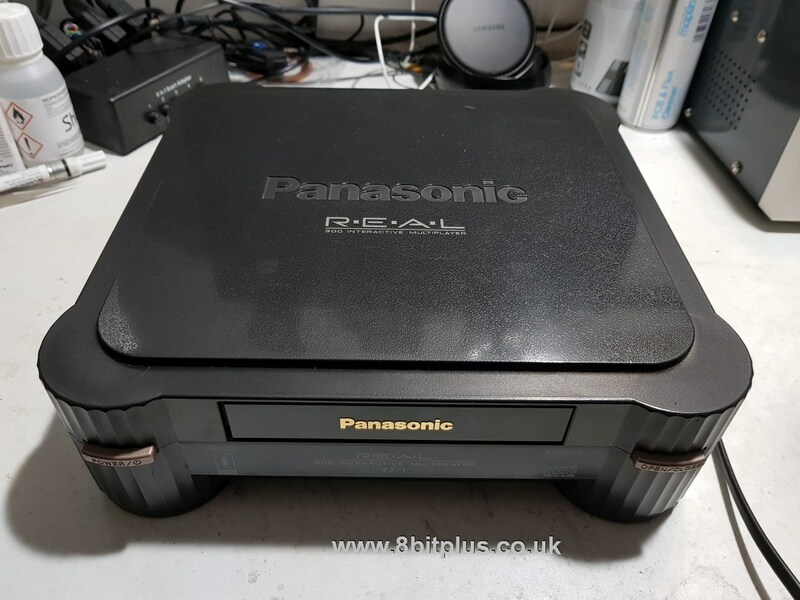 If you have a 3DO and want this mod installing, please get in contact HERE. Thank You Neil for looking into this for me and sorting it out. 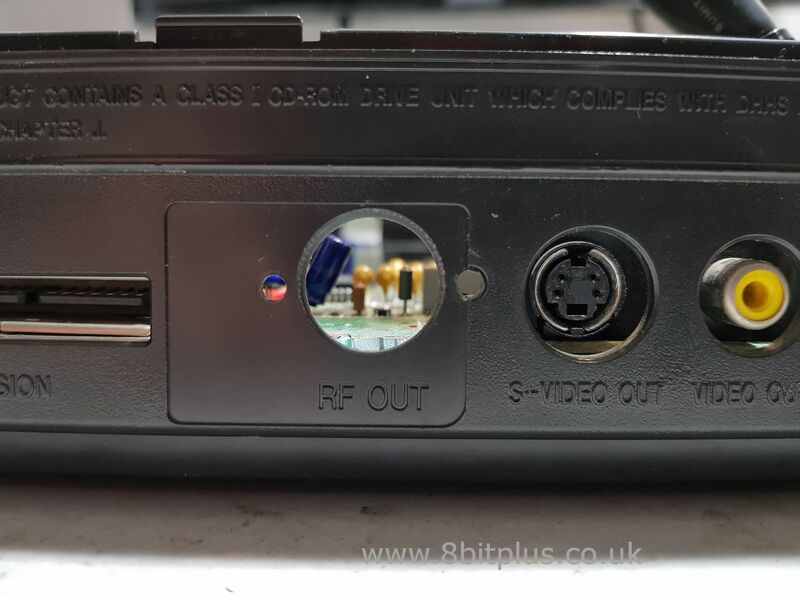 great mod and I recommend Neil for any job your after.